The surge protector must be used when Ethernet cables are exiting the cubicle. The earth cable is bolted to the cubicle earth, and the Ethernet cables are connected into the two RJ45 ports at either end. 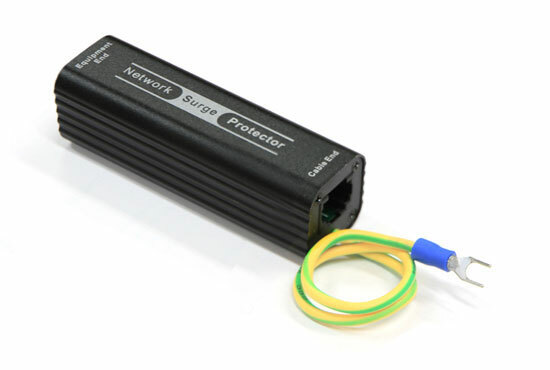 The surge protector should always be used when copper Ethernet cables are exiting the cubicle.